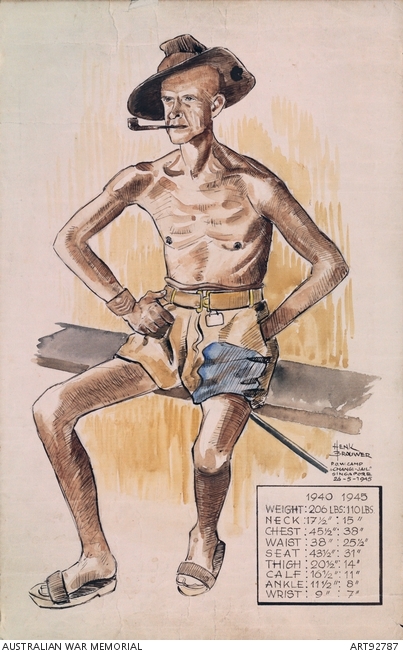 Staff Sergeant Arthur Cyril Robinson (1897-1968) served in several Australian infantry battalions. The painting is a divergent, full-length portrait with an ironical (or rather cynical) list of body measurements. So it’s not literally a portrait, though you can easily say that Robinson is portrayed.